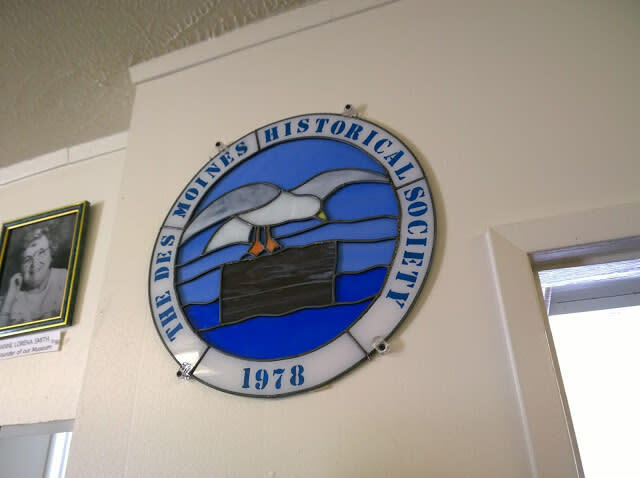 The Des Moines Historical Museum's collection contains thousands of artifacts, images, and monographs. These objects and pictures describe historical events, work, entertainment, and everyday living from homestead days in the 1870's to the present. See the tools and toys people really used when Des Moines was too small and remote to have electricity, bus service, or shopping malls. Then move on to more modern times, when power and the automobiles brought faster communication, mobility, and emergency services. The Des Moines Historical Museum is a time capsule of the city and of America itself. The museum is located in the historic Odd Fellows Hall at 730 South 225th Street. Throughout its colorful history, the Odd Fellows Hall has housed the police station, jail, fire station, school, and City Hall and has been the meeting place for clubs, churches and organizations for nearly a century.